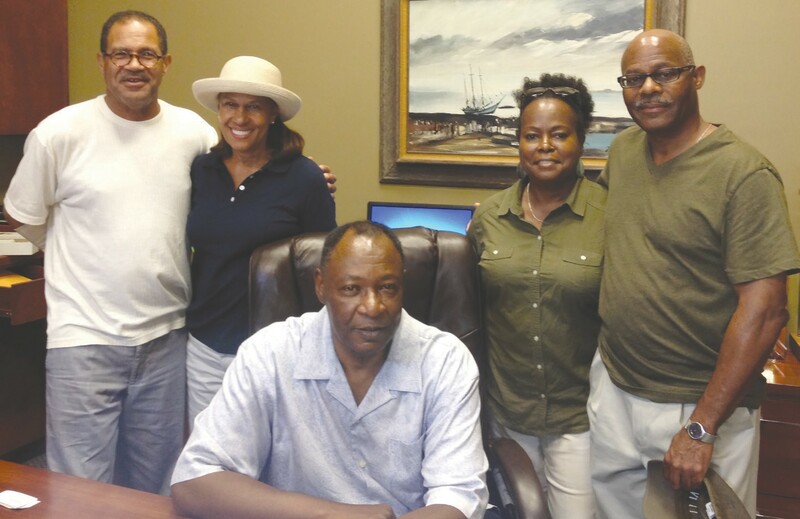 Michael and Phyllis Cutts, who resided in Savannah during the early 1980s, stopped at Carver State Bank last week to visit an old friend, Carver President Robert E. James. They were joined by their cousins, Eugene and Antoinette Powell, of New York, New York. During his years in Savannah, Cutts and James were members of Mu Phi Chapter of Omega Psi Phi Fraternity. The Cutts’ currently resided in Fayetteville, GA, and frequently vacation on Hilton Head Island, SC.